The government’s Modern Slavery Taskforce has agreed new measures to support victims. The Home Secretary Amber Rudd has announced new measures to improve identification and support for victims of modern slavery. 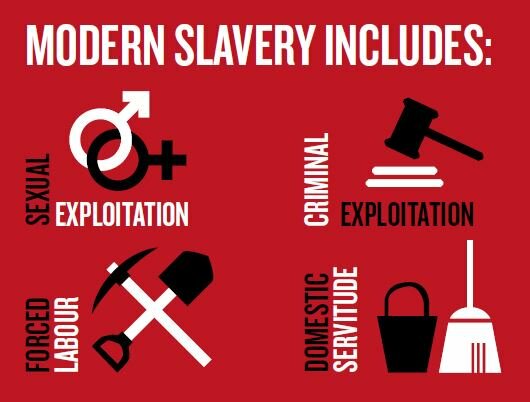 Modern slavery is an umbrella term encompassing slavery, servitude, forced or compulsory labour and human trafficking. Victims of modern slavery are unable to leave their situation of exploitation, controlled by threats, punishment, violence, coercion and deception. Slavery violates human rights, denying people of their right to life, freedom and security. The National Referral Mechanism (NRM), the system by which victims of modern slavery are identified and provided with support, is to be reformed to improve both the decision-making process and the support it offers. Three new measures to improve the way in which victims of modern slavery are identified and supported have been announced, following a meeting of the Prime Minister’s Modern Slavery Taskforce on earlier this month. The Prime Minister’s taskforce brings together ministers from relevant government departments, senior police officers, the Independent Anti-Slavery Commissioner, the heads of intelligence agencies and key practitioners. It was established in September 2016 and aims to do more to bring perpetrators to justice and to support victims both domestically and overseas. a new digital system to support the National Referral Mechanism process, making it easier for those on the front line to refer victims for support and enabling data to be captured and analysed to better aid prevention and law enforcement. Several of the reform proposals have been shaped and influenced by the findings of a pilot scheme testing a new approach to the National Referral Mechanism process, and in consultation with the Independent Anti-Slavery Commissioner. The Commissioner’s role was created as one of the key provisions of the Modern Slavery Act 2015. The new measures were agreed at a taskforce meeting chaired by Home Secretary Amber Rudd. The Home Secretary said: “The taskforce agreed that reform of the NRM was essential to make sure the best interest of victims is at its heart. “Those people who are dealing with victims on a daily basis must continue to be properly trained and have access to the right information to provide high-quality support tailored to the unique needs of victims to help them begin to rebuild their lives. “Members of the taskforce are absolutely determined to deliver a more efficient decision-making process, with robust quality assurance, and for all partners to keep working together to protect victims and pursue offenders. If you believe a person is being trafficked and is in immediate danger, call 999 straight away. If you need advice or do not want to call the police you can call the modern slavery helpline on 0800 0121 700.